Nikon first started making binoculars in the 1920s, giving them ample time to perfect their process. When choosing a pair, however, reading Nikon binocular reviews is invaluable. There are a number of price points and styles to choose from, so doing some research is crucial. Nikon is specifically well known for their sports line of binoculars. These allow you to focus on moving objects easily – something non-sport options often do poorly. These lines of binoculars also tend to be more lightweight than their non-sport alternatives. When you first hear the brand name, likely the first thing to come to mind is a Nikon camera. The hallmark of high quality optics extends from the camera world straight into the binocular one. While they are better known for camera, Nikon’s binoculars are also top notch. One thing that typically attracts people to the Nikon line is the variety. You can basically choose any price point, activity, or style and find something to suite your needs. Again, Nikon binocular reviews will be helpful here to narrow the playing field of options. Different pursuits require different attributes from binoculars. For instance, if you plan on hiking with a pair in your pack, likely a lighter weight option appeals to you more so than a bulky pair. No matter the activity, Nikon has a line to suit those unique needs. So, now that you have chosen Nikon, start by reading some reviews. Below you will find your personal guide to the best Nikon binoculars for any application. You will not be disappointed. 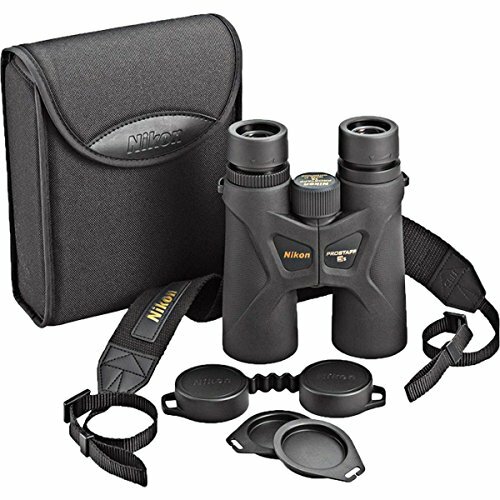 If you are looking for a great, all-around pair of binoculars, consider the Nikon Monarch line. 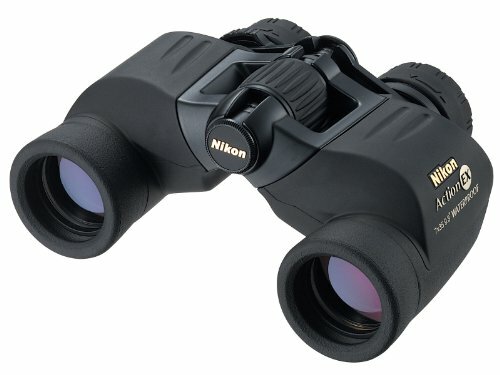 These binoculars incorporate the newest Nikon optics technology and great durability at a reasonable price point. The Nikon 7576 Monarch 5 8×42 Binoculars offer an excellent image quality in the Monarch line. They have extra-low dispersion glass, giving the image a clear and bright quality in lower light conditions. These work well in dusk, dawn, and everything in between. For people who wear glasses, the Monarch 5 binoculars also have great eye relief. This means that the rubber eye cups adjust. The eye piece covers, however, are too loose and fall off. The weight of these binoculars also makes them butterfly-like in that they are very lightweight. This can be an especially valuable asset for hikers and adventurers. No matter how great the binoculars, you do not want to lug around a heavy piece of equipment. 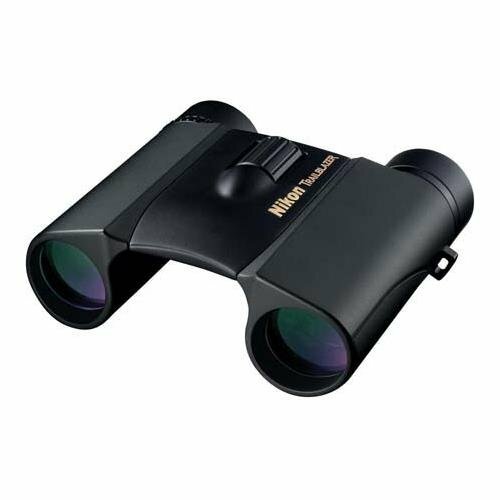 We may have missed some important information about the product and we would not want you to miss-out with this amazing Nikon Monarch Binocular. The Nikon Monarch 5 10×42 ED ATB Waterproof/Fogproof Binoculars have many of the same features as the previous ones, but with a few extras thrown in. They come in at a slightly higher price tag, though. The optics, however, are well worth the money. The waterproof/fogproof feature is really what sets these binocular apart from the crowd. It protects your valuable lenses from damage in wet or humid conditions. The image quality is wonderful in all weather and light conditions. The eye piece covers also pose a problem, though. If you are looking for something even lighter weight, the Nikon 7579 Monarch 8×30 Binoculars are another great option within this line. Since the magnification is lesser than in the other two pairs, they also cut down on the weight associated with the magnification. Though the magnification is slightly less, the field of view is actually wider than the previous two pairs. This allows you to see more of the landscape at once. Plus, Nikon corrected the eye cap issue by adding on a tether between the caps and the binoculars themselves. At the end of the day, if you are looking for a great, reliable option for binoculars, the Nikon Monarch line is an excellent choice. Their optics cannot be underestimated, especially given the reasonable price point. If you plan on being a bit harder on your binoculars, the Nikon Action binocular line is a good choice. The binoculars in this line are built to be as strong, durable, and long-lasting as possible under extreme conditions and scenarios. The Action line can take a serious beating. The Nikon 7245 Action 10×50 EX Extreme All-Terrain Binoculars are the highest price tag in this line, but they are well worth the money. They are comprised of an all-metal body, coated in polycarbonate, and then encased in a rubber armor. They are fairly indestructible. Not only is the image quality also exquisite, but they are also waterproof. Combined with the durable material construction, the waterproofing makes these binoculars stand out in the crowd. All that durability is not light, though. These binoculars weight in at over two pounds. The Nikon 7237 Action 7×35 EX Extreme All-Terrain Binoculars are another great, ruggedly durable choice in this line of binoculars. They incorporate the durable construction and waterproofing of the previous pair, but incorporate better eye relief, among other features. The color quality of these binoculars also shines brightly. Even in lower light conditions and environments, the colors stay true and bright consistently. The focusing mechanism, however, is a bit finicky and takes a fair amount of getting used to over repeated uses. 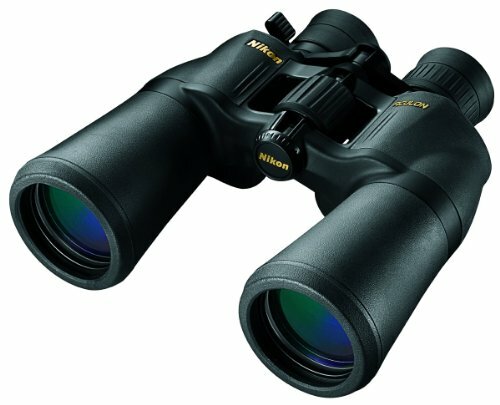 The Nikon 7216 Action 8×40 Binoculars serve as the in-between point of the other two options based on the magnification levels. They also use the same durable, super rugged construction as the previous two pairs. They can take some abuse. The focusing mechanism, unlike the previous option, is actually very simple and straightforward on these binoculars. They focus quickly and smoothly on the go. They do not, however, focus well on closer objects, making them less ideal for birdwatchers. Ultimately, if you are in the market for a pair of binoculars that can take a beating and survive unscathed, the Nikon Action line is an excellent place to look. By reading a few Nikon Action reviews, you will ensure that you end up with the perfect pair for your needs. Nikon compact binoculars offer a great option for hikers, travelers, or simply those looking to go a little lighter. Nikon offers a number of great options that do not sacrifice optical quality for lightweight status. They have an option to appeal to everyone. 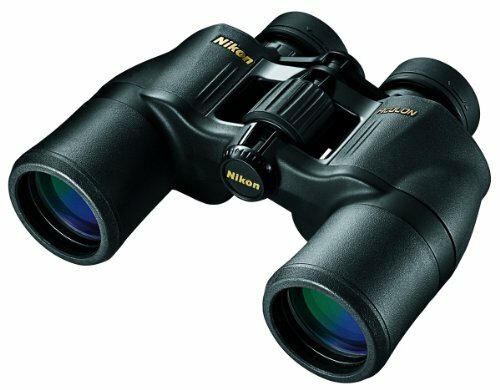 The Nikon 8-24×25 Compact Zoom Binoculars are an excellent standard option for a lightweight, compact pair of binoculars. The optics are anti-glare and anti-reflective, as well as using Bak4 prisms which provide excellent color and image quality in lower light conditions. The zooming slider to change between different levels of magnification is a nice added bonus to these binoculars. Though, if you are looking for something with a powerful, long-sighted magnification, these may not meet expectations. They do what they can well, though. The product is red rather than black, but all the specification and aesthetics are the same. 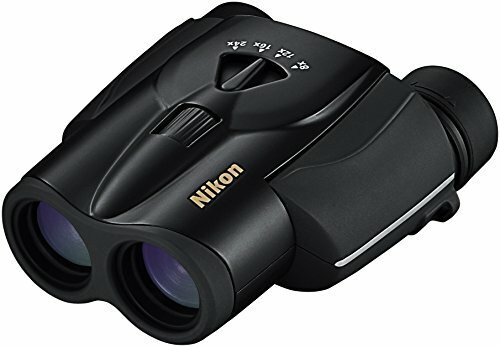 The Nikon 16001 PROSTAFF 7S 10×30 Inches Compact Binoculars are nearly a perfect pair of compact binoculars, especially at their reasonable price point. They also offer great eye relief for people wearing glasses, providing an enjoyable experience for every user. These binoculars are also waterproof, meaning they can come with you anywhere in any condition without adding tons of weight and bulk to your pack. The one potential setback to these binoculars, though, are the lens covers. They are a bit too large to stay on tightly secure. 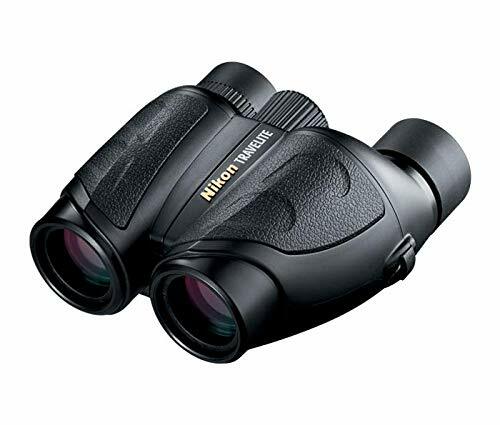 The Nikon 8218 Trailblazer 10×25 Hunting Binoculars are one of the best value buys for compact binoculars. Coming in at a lower price point than the previous two options, they bring good bang for your buck. They are also totally waterproof and fogproof for any situation. The field of view on these binoculars can also not be beat. They offer over 340 feet of view, which is quite impressive for compact binoculars. The one disadvantage, however, is that the focus is a bit finicky and sensitive, making moving targets a bit more challenging. If you are looking for something to take with you in any situation without adding tons of bulky weight to your pack, Nikon compact binoculars will not disappoint. The three options outlined above each offer something for different users. There is something for everyone. Another way to choose a pair of Nikon binoculars is based on magnification levels. 10×42 binoculars offer a wide field of view and a powerful ten times magnification. Because they are more powerful, though, these binoculars run a bit more expensive than other options. The Nikon 7577 Monarch 5 10×42 Binoculars bring excellent quality, brightness, and clarity to the powerful magnification. They have extra-low dispersion glass which provides a clearer image in a variety of light situations. At dawn and dusk, these are still crisp. One especially nice feature for bird or nature walkers is that the image is clear even in close ranges. The minimum focal distance is actually pretty close. The one issue, as with other pairs, however, is that the lens caps are too large and fall off, exposing the lenses to scratches. 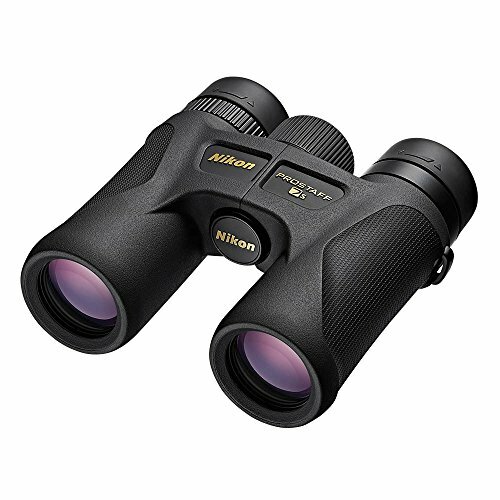 If you are looking for a truly affordable option, the Nikon 8246 ACULON A211 10×42 Binoculars are the perfect choice for you. Given the high magnification level, these binoculars are really the best value. They are also very lightweight given the power of the optics. On some less expensive binoculars, the image quality is foggy. This is not the case here. The image is clear, crisp, and consistently bright. The focusing mechanism, however, does leave a bit to be desired. It is fairly finicky and difficult to adjust both eyes correctly at once. 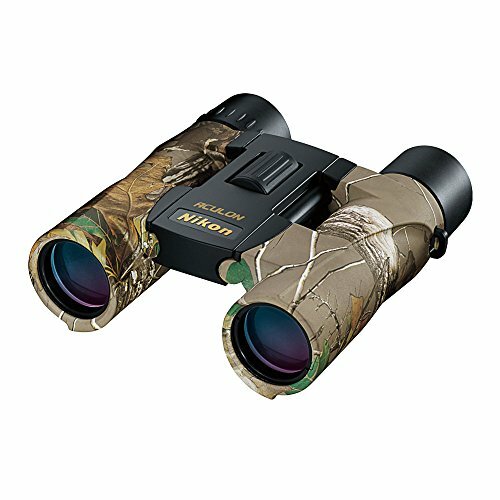 The Nikon Prostaff 7s 16003 Binoculars are a great mid-price range option for this magnification class. One especially nice feature is that these binoculars have a rubber armor protecting them from damage. The rubber also makes them easier to hold, even in the rain. The image quality on these is also very impressive in low light conditions. If you plan on using these at dawn, dusk, or at darker theater events, the image quality will not disappoint you. At about a pound and a half in weight, though, these are not for the faint of heart or arm. Despite the added price bump for the magnification power, Nikon 10×42 binoculars are an excellent choice. There are really options for everyone at this magnification level, so you will not be disappointed provided you do a little research prior to purchasing. The previous pairs were not powerful enough for your taste, Nikon 10×50 binoculars are a great choice. With the same level of magnification as the previous group, the diameter of the lenses of the binoculars are much larger, allowing more light and even better image quality. 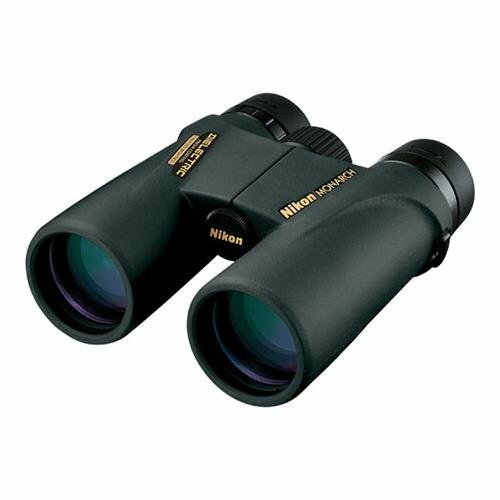 The Nikon 8248 ACULON A211 10×50 Binoculars are an excellent and affordable option in this category. They are ergonomically designed, making them superiorly comfortable to hold and use for hours on end. Additionally, they have adjustable eye piece cups for comfort. The durable armored rubber casing is a great asset for these binoculars. They can stand up to a fair amount on impact without a problem or any distorted optics. They do not, however, hold up as well in wet weather. The lenses become fogged and humidity messes with the optics. The added information of the the product is in the video. It could help you with your decision about what binocular you need for yourself. The Nikon 7245 Action 10×50 EX Extreme All-Terrain Binoculars are slightly more expensive than the previous pair, but they are well worth the money. They offer an all-metal build with water and fogproofing, so they can do anywhere you do without getting destroyed. The optics of these binoculars are quite excellent as well. The image quality is bright, clear, and crisp, and the field of view is super wide angle. With the added clarity and magnification power, however, these binoculars are difficult to stabilize and focus quickly. 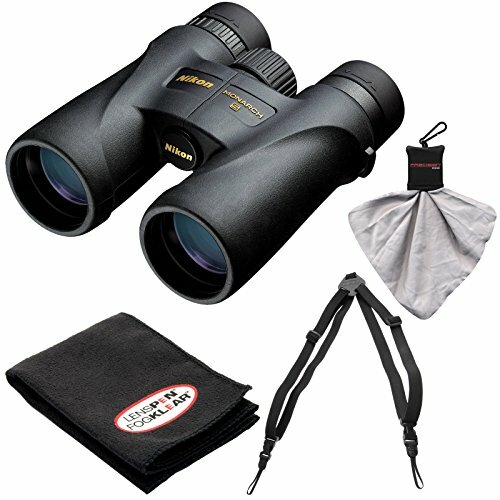 The Nikon 7572 PROSTAFF 5 10×50 Binoculars are another great, mid-price range option in this category. The eye relief with adjustable eye piece cups is truly superb on these binoculars. Whether you wear glasses or not, these will be comfortable for hours upon hours. The focus on these binoculars is also very smooth and easy to operate. You will be able to focus quickly without too much fiddling. The one downside to all these good features, however, is the weight. These binoculars are very much on the heavy side of the spectrum. 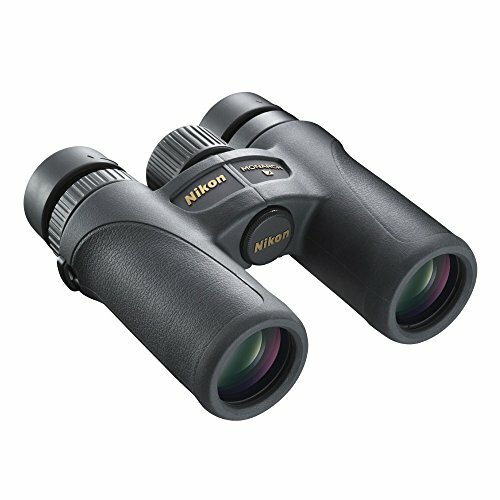 If you are looking for a pair of powerful binoculars with a large field of view, Nikon 10×50 binoculars will fit the bill. You are sure to find an option with excellent optics and all the features you need amongst their many great options. The hallmark of Nikon zoom binoculars is their simple, smooth operation as you change between magnification levels. Nikon offers a variety of options in this line, so there is something for everyone. No matter which pair you choose, it will be straight forward to use from the start. 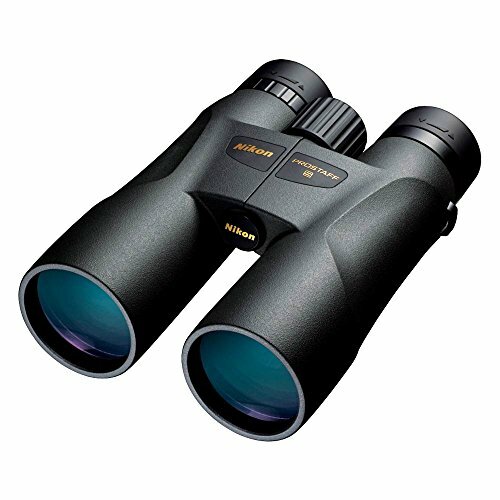 The Nikon 8252 ACULON A211 10-22×50 Zoom Binoculars offer a wide range of magnification levels at your fingertips. From 10 to 22-power, these will let you see things at a huge variety of distances. Additionally, they have an excellent, bright image quality throughout. For bird watchers, these binoculars are particular appealing. The image quality stays constantly high no matter the zoom. Plus, the zoom function operates extremely smoothly. The main downside is the field of view. Despite the rating of 50, it is actually narrow in practice. The Nikon 8-24×35 Compact Zoom Binoculars offer an even wider range of magnifications than the previous option at around the same price point. Their lightweight, compact status also makes them more appealing for hikers or traveler especially. The zoom and focus function both have a slider to adjust them. This functions very well and allows you to focus on what you are seeing rather than small adjustments. One downside, however, is that the full magnification setting does not fare well in lower light conditions. The Nikon 8-24×25 Aculon Zoom Binoculars have the same magnification options as the previous pair, but with slightly different features, pros, and cons. Unlike the previous option, these binoculars actually fare pretty well in low light settings, regardless of magnification level. The super lightweight status (only 12 ounces) also provides a great draw of these binoculars. They still remain pretty durable as well, which could be an issue with the lower weight. It is difficult, however, to stabilize these binoculars when zoomed in all the way. Nikon zoom binoculars are a great choice for those looking for a wide range of magnification levels without having to purchase several pairs of binoculars. Nikon offers several options, such as the three above, so start reading some Nikon binocular reviews for guidance. Great hunting binoculars provide a few key features: simple operation, lightweight, and durability. Nikon hunting binoculars offer a wide variety of styles, features, pros, and cons. Whether you are a frequent or occasional hunter, they have something to appeal to your needs. The Nikon Trailblazer Waterproof Series ATB Binoculars are a great choice for your next hunting trip. They come in at a reasonable price point and they will hold up to any environment that you take them into thanks to the waterproofing and fogproofing features. The weight of these binoculars is also truly outstanding. At only 2.4 ounces in weight, you will barely even notice carrying these binoculars on your next hunting trip. Though they are waterproof and durable, unfortunately they do not hold up well to temperatures below freezing. The Nikon 8264 ACULON A30 10×25 Binoculars are another, even more affordable option for hunting binoculars. They have a super easy and smooth focusing mechanism which allows you to focus on the target without taking your attention away with a fiddly focus knob. Also, the image quality on these binoculars is consistently clear and bright. No matter how far you zoom in or focus, these binoculars provide a great optical view. One major setback, though, is that these binoculars are not waterproof, which could be a problem on the hunt. 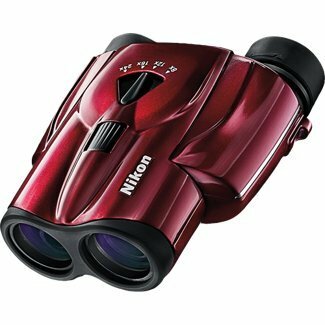 If you are willing to pay a bit more, the Nikon 7539 10×42 PROSTAFF 7 Binoculars are a wonderful option for you. They are fully water and fogproof, complete with nitrogen filled, O-ring sealed optics. They are also encased in rubber armor for optimum durability. The image quality on these binoculars is also very good. Even at dawn, dusk, or in low light conditions, the image remains true to color, crisp, and bright. One significant disadvantage, however, is that the lens covers do not stay on well, which could lead to scratches down the line. Regardless of your price range and needs, Nikon hunting binoculars prove to be an excellent choice for your next hunting expedition. Make sure to read plenty of reviews prior to purchasing and consider your needs to ensure you end up with the perfect pair for you. The Nikon Aculon A30 design and aesthetics is none like others. It is unique and very comfortable. Other than its high performance, it provides the best grip. If you plan on using your binoculars outside at all, it is best to choose a waterproof pair. This will ensure your binoculars last more than one rainy day. Nikon waterproof binoculars come in a variety of styles, price points, and magnifications; there is something for everyone. The Nikon Prostaff 3S 10×42 Roof Prism Waterproof Binoculars are a great, mid-price range option for all your outdoor activities. The roof prism optics of these binoculars are also coated with a high-reflectivity silver-alloy to keep the light transmission high without refraction. In part due to the coated optics, these binoculars keep a crystal clear, bright image quality regardless of light setting. Dawn, dusk, fog, or rain, these binoculars will not disappoint you with their image quality. The focus mechanism is a bit tricky, overly sensitive, and finicky, however. The Nikon 7245 Action 10×50 EX Extreme All-Terrain Binoculars will pretty much stand anything you can throw at them. They are water, fog, and shockproof. They also have a rubber coated body which is non-slip and durable in case you do happen to drop them. The focus is also quite easy to adjust on these binoculars, setting them apart from the previous pair. These are super simple and straightforward to focus on the go. One downside, though, is that they are difficult to stabilize. Small movements make a big difference. The Nikon Prostaff ATB Series Binoculars have a totally different look and feel from the other two options in this category. They are made to be lightweight and compact, while retaining durability. At under one pound in weight, these are a great option to throw in a pack for a hike. These binoculars also have great eye relief built in, so, whether you wear glasses or not, they will be comfortable all day. The lens covers are also quite snug and secure. The one downside is that if you look toward a light source, there is significant flare. If you are in the market for a pair of binoculars for outdoor use, Nikon waterproof binoculars are an excellent choice for you. They are all durable, but each pair has slightly different features, so there is something for everyone’s unique needs. If you are a stargazer, you will need a particular set of features from your binoculars. For instance, good light transmission and excellent zooming ability are crucial. Nikon astronomy binoculars come in a wide range of price points and styles for each stargazer’s needs. The Nikon 8252 ACULON A211 10-22×50 Zoom Binoculars provide a great, mid-price range option for all your stargazing needs. Since they are zooming binoculars, they can easily transition from focusing on closer objects to planets and stars easily and without a fuss. The eye relief on these binoculars is certainly a great asset as well. If you plan on staring at the sky for a long time, these sill remain comfortable the whole time. One downside, however, is that at the maximum zoom, the image quality does get fuzzy at the edges unfortunately. 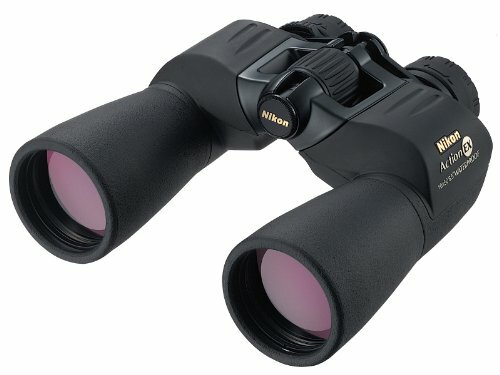 The Nikon 7576 MONARCH 5 8×42 Binoculars are another excellent choice for a stargazer. While they do not have the same type of zoom capacity as the previous option, they have plenty of magnification for astronomy. The multicoated glass transmits light beautifully. These binoculars are also waterproof and have excellent eye relief, so you will not need to worry about long stargazing sessions in humid, summer weather. The main downside is that the lens covers fit poorly. Also, they are about double the price as the previous pair. The Nikon 7294 Monarch ATB 8×42 Binoculars are the same basic style as the previous option, but a different model. They are also water and fogproof. Additionally, they have fully coated and phase-correcting prism optics, making for clear and bright quality consistently. Given the magnification level, these binoculars are also relatively lightweight at about a pound and a half. This means you can comfortably use them all evening without your arms getting tired. The one drawback is that the eye relief is lacking for people who wear glasses. The main thing you want from stargazing binoculars is a crisp image and strong magnification. 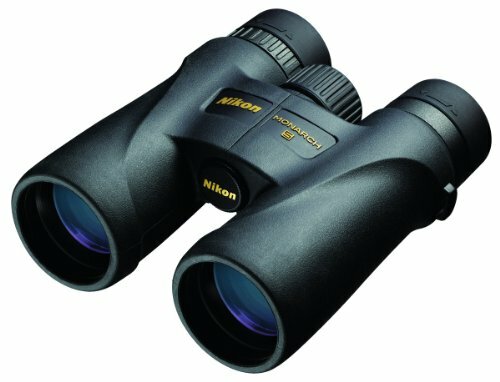 Nikon astronomy binoculars offer a wide range of price points and specifications to suit your unique needs and make stargazing even more enjoyable. If you are a birdwatcher you will need specific things from your binoculars. For one, you need to be able to see birds close and far away clearly and with a true colored image quality. Nikon birding binoculars come in a variety of styles and prices. There is something for everyone. The Nikon 7576 Monarch 5 8×42 Binoculars, though a bit on the higher end of the price spectrum, are well worth the price. The Monarch line of binoculars are made with extra-low dispersion glass which provides a sharp, clear, crisp, and color-true image quality all the time. For birdwatching, these binoculars also have a relatively close minimum focal distance. This means that if a bird lands nearby, you will still be able to focus on it easily. The main problem, as with other pairs, is that the lens covers are poorly designed and ill-fitting. If the previous pair was a bit pricey for your needs, the Nikon Prostaff 3S 10×42 Roof Prism Waterproof Binoculars are the way to go. The prisms are multi-coated for improved light transmission. This means you can birdwatch effectively even on cloudy, dark days. These binoculars are also waterproof, which can be a huge asset while birdwatching. If you are in a humid environment or get caught in the rain, these binoculars will hold up. The focus, however, poses a bit of a problem. It is generally a bit finicky and overly sensitive. The Nikon 7277 8x25mm Travelite Vi Binoculars are another great birding option. They have a great close focal distance of under ten feet, so you can focus on birds even when they land up close. Also, they come in at a lower price point than either of the previous pairs. Another nice thing about these binoculars is that they are relatively lightweight and compact. You can easily take them anywhere with you simply by throwing them into a jacket pocket. The focus mechanism is a bit touchy, though, so you may find it far to finicky. One of the main things you need from birdwatching binoculars is a good, clear close focal distance to see birds clearly as they land close by. With Nikon birding binoculars, you are sure to find a pair at your price point with great optics to see your feathered friends clearly. At the end of the day, with all the variety they offer, you should be able to find your perfect pair of binoculars from Nikon. Nikon binocular reviews, some research, and knowing your own needs all play a vital role in making the best decision.